Kawasaki Zephyr is an underappreciated classic (at least in some regions of the world). It looks nice. It is a proper tribute to a legendary Kawasaki Z1. Every single version is an inline four, air-cooled, twin cam. They even released a couple of series with spoked wheels. When it arrived in the early 90’s, it restarted the retro boom in the UK. The sales numbers were spectacular. inspired by Kawasaki Zephyr based builds. 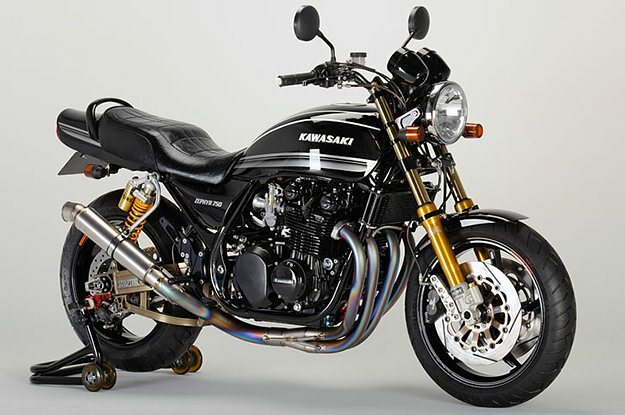 There were four versions of Kawasaki Zephyr – 400, 550, 750 and 1100. 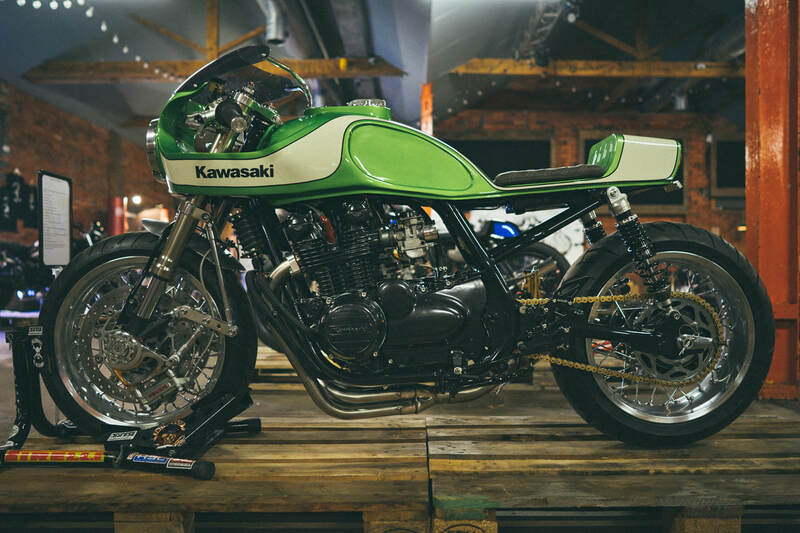 They differed by not only engines but also styling details (mainly the tank shape) – all stayed true to the classic Kawasaki lines. 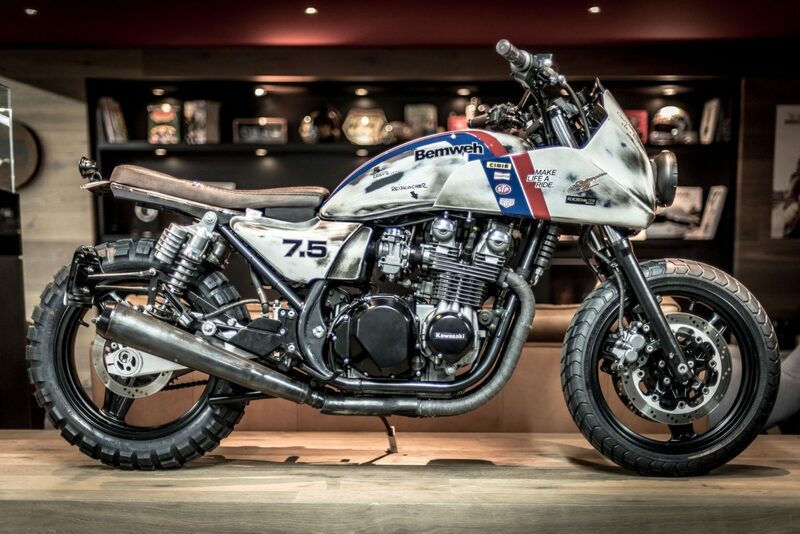 Coincidentally – all the bikes listed below are based on the 750 version. The most popular one. The first one listed is quite old. It was built in 2013 by Ton-Up Garage, located in Porto (Portugal). 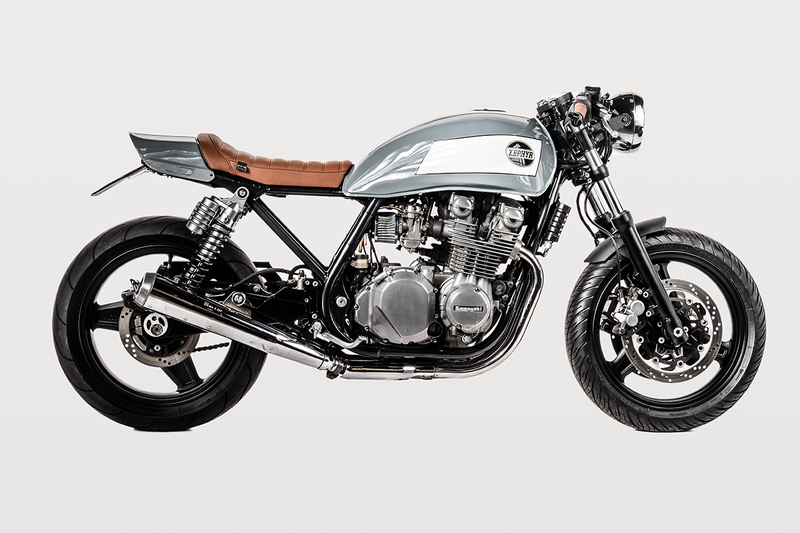 This build is a quintessence of a Cafe Racer style. Simple and minimalistic. With an excellent paint and colour setup. It was nicknamed “Zephyrus” (name of the Greek god of the west wind and this one born in the most western country of Europe). Another build that can be considered as defining the style. But a little different than the above. It’s more sophisticated and modified. With a subtle tail on the modified rear end of the frame. The owner wanted to have a tight build – so only the essentials remain, with a nice empty triangle under the seat. It would look even better if only it had spoked wheels. This build was featured not so long ago. 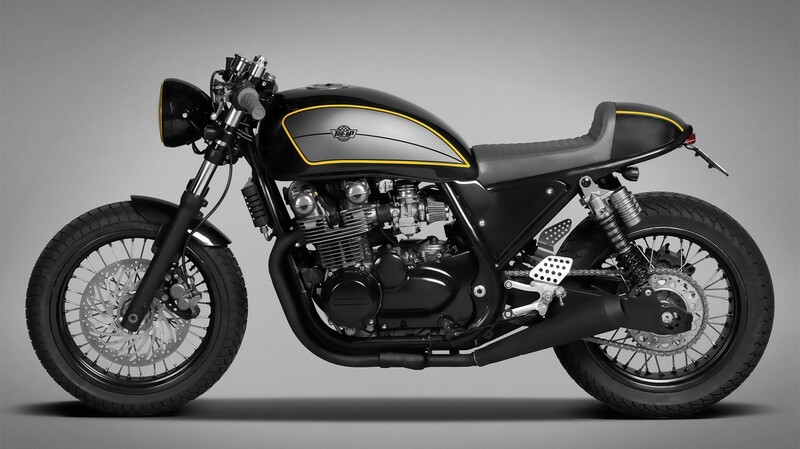 It is a fresh approach to the cafe racer style. As the classic form of the tank/seat line, minimalistic looks and a characteristic fairing reminds of the 60’s. There is also a unique touch to the concept, as the whole fairing/tank/seat element is a monocoque. The builders also designed an extraordinary anti-dive system on modern upside down forks. Read more under the link below. VTR Customs are mainly recognised by their BMW works. 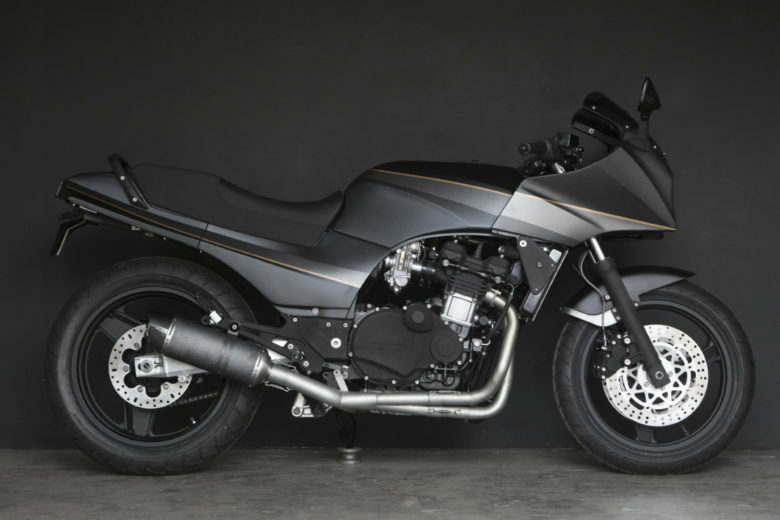 But with this project, they showed that they are quite versatile on the donor bike choice and style. This build is exceptional mainly due to its looks. It presents itself as bruised and neglected. 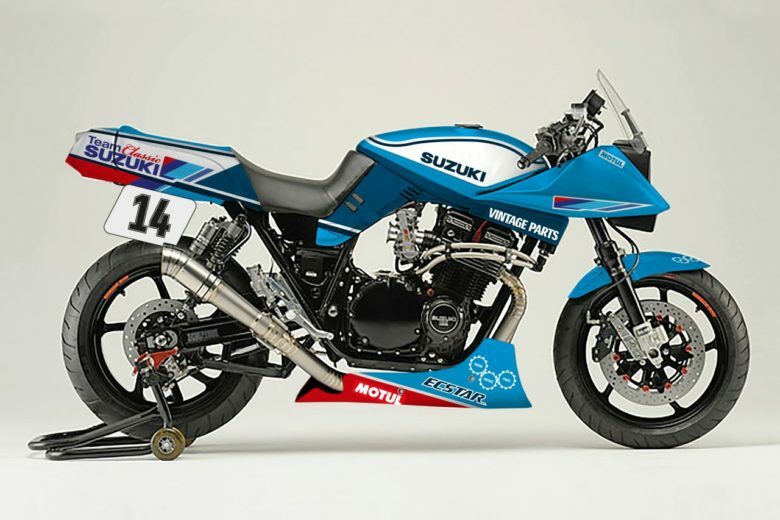 The front fairing is an apparent tribute to the retro racing styling. 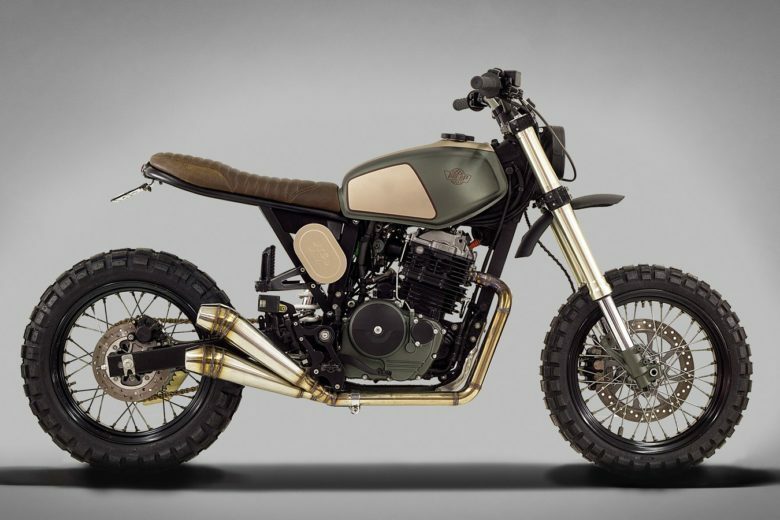 Twin headlights and rear tire, on the other hand, are offroad inspired. It cannot be easily classified under any style definition – but it’s worth mentioning on such listing. Check out the full gallery under the link below. AC Sanctuary brand is legendary. They released tens of upgraded Kawasaki’s. And this one would be the first ever Zephyr they built (afterwards 7 or 8 more Zephyrs followed). It’s a beast. There is hardly a single element that wasn’t modified or changed to a performance equivalent. 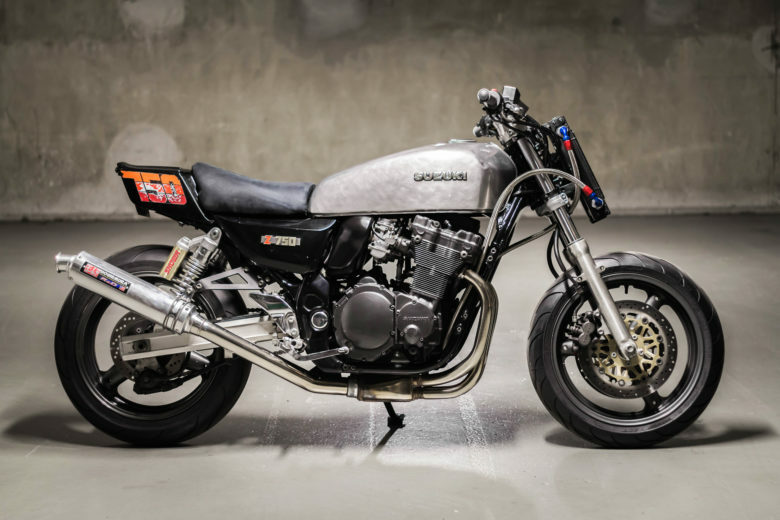 Exhaust, forks, brakes, rims, tires, swingarm, carbs… Everything was made to make it more lightweight, faster and more brutal than the stock version – a perfect definition of a Restomod. Check out the full gallery and specs under this link. As usual a word of comment. This is not a top to bottom list or any ranking. All the machines listed above deserve the recognition for the builders work and design. They are all different, so not directly comparable – and that’s what matters in the custom culture. Cheers!